Facebook, Facebook, Facebook! There’s no getting away from it. It’s everywhere and permeates just about every aspect of our lives. It’s a great way to stay in touch with family and friends (the average Facebook user has 130 friends). As I travel around a lot, it has certainly made my world a smaller place. Sometimes it doesn’t feel like I’m away at all, as I’m in constant contact with my closest friends. Another great thing about Facebook is the opportunity it opens up to Internet Marketers and just about anyone who wants to promote their business, products or services online. Facebook is a high impact, low cost viral marketing medium that can’t be ignored! Every band, brand or business should have a Facebook page, AKA landing page, business page and fan page (different to a Facebook Profile). 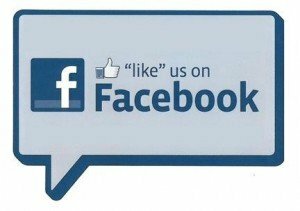 A Facebook Page allows you to promote your business through the ‘Like‘ button. When people ‘Like’ your page your posts are published on their wall. Friends can see these posts and may have similar interests so ‘Like‘ your page to. This is what’s known as Viral Marketing. To establish your brand on Facebook you will need a Custom Fan Page. A Custom Fan Page is a page designed on iFrame and looks more like a regular website. They can include video, an opt-in box and a whole lot more. A well designed Custom Fan Page will increase your ‘Likes’, drive more traffic to your website, build your list, engage viewers with video and even allow you to sell your products or services straight from Facebook. We are launching a design service that will get your Custom Fan Pages built and live on Facebook easily and stress free. Click here to ‘Like‘ Blend Custom Fan Pages Facebook Page.